It’s dirty. It’s noisy. The floors are wet and the chairs are plastic. You can barely hear yourself talk over the roar of a gigantic wok on the fire nearby and you’ve got to squeeze through to get a table. 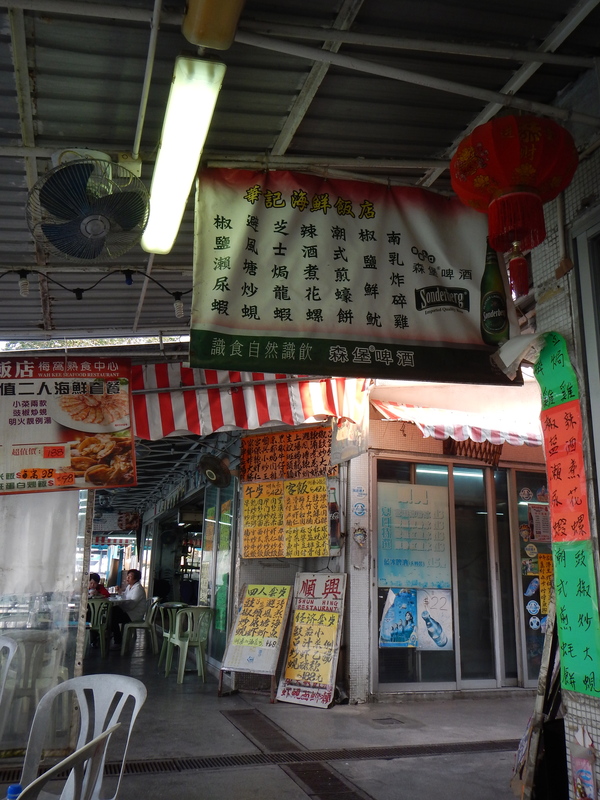 But it’s got some of the best food in Mui Wo, and it’s dirt cheap, so why complain? 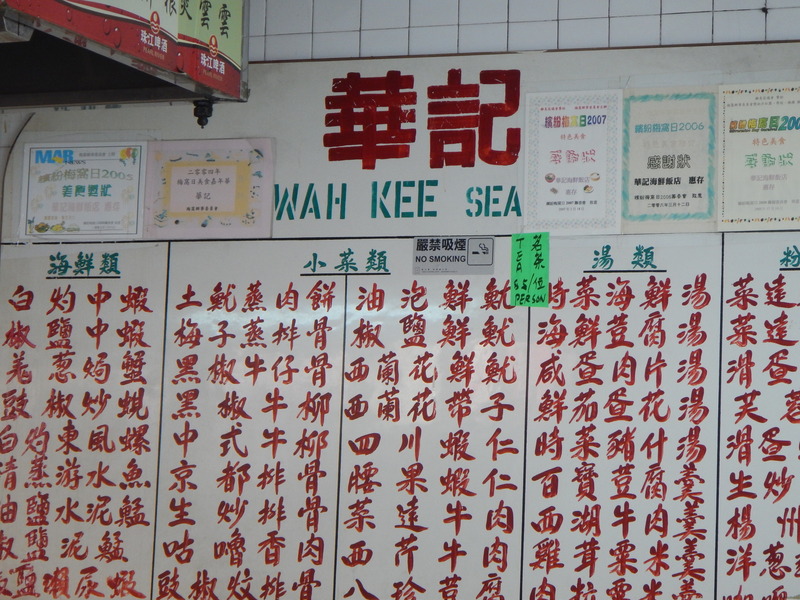 The Cooked Seafood Market in Mui Wo is just a stone’s throw from the Mui Wo Ferry, and conveniently located behind a garbage dump (which is not as bad as it sounds – they clean it continuously and there is no smell. But, it IS a garbage dump). 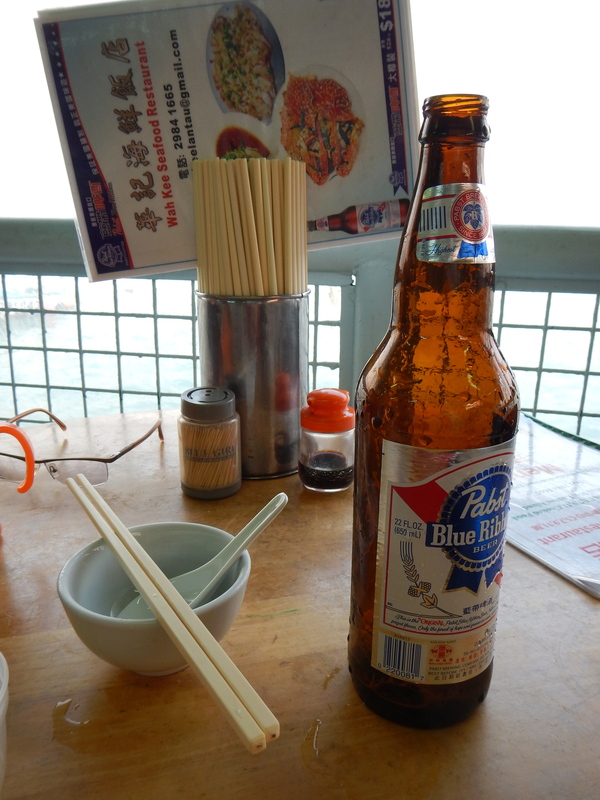 The restaurants that line the waterfront have lovely views of Silvermine Bay, and huge half-liter bottles of the coldest beer in town. It’s a favourite liming place for the local residents, as well as people who live in nearby towns on Lantau and hike over from Discovery Bay to Mui Wo on the weekends. We go there for one thing — the squid. 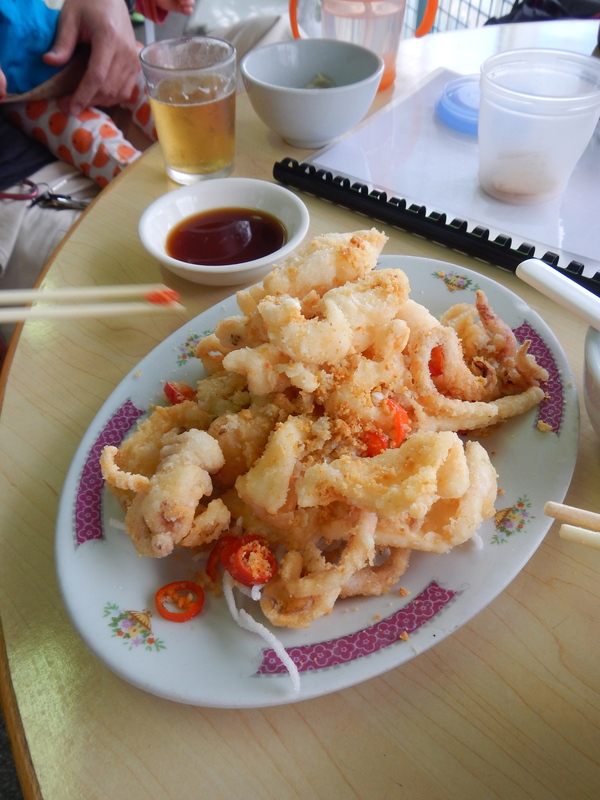 It’s called Squid in Spiced Salt, and all of the restaurants serve it. Other recommended dishes from the menu – broccoli with beef, Singapore noodles, eggplant in chili sauce, and the fried rice. 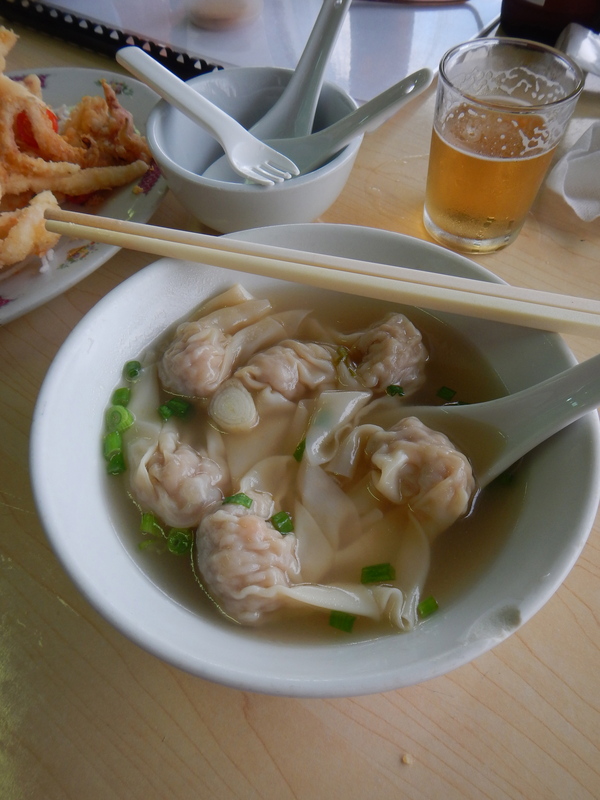 If it’s your first time, it doesn’t really matter which restaurant you go to – I’m about 99% sure that all the restaurants are owned by the same family because the menus are identical and they often go into each other’s kitchens. 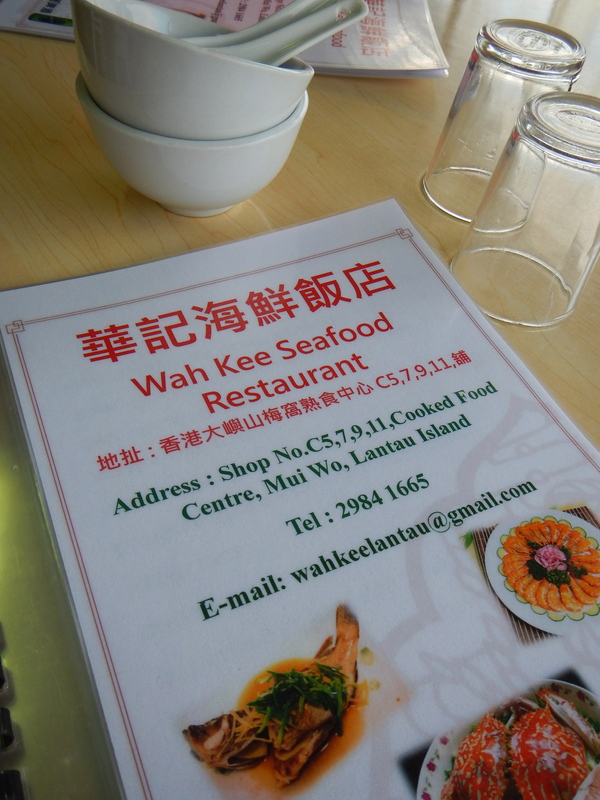 But personally we always go to Wah Kee because the food is a surefire hit. Hmm… I should get a free meal out of this publicity! Yum! All looks good. A little too far to go eat, though….Some day, maybe.